Check Out Everything New We Have To Offer!! Last week we were quite busy, each of us worked tirelessly from around 9 AM to 11 PM setting up our new Connelly Billiards models. These custom tables compliment our Legacy Billiards brand pool tables quite well as they have somewhat similar construction. We are very excited about the new additions to our showroom. As soon as you walk in the door you will see the Cochise, our two tone table with a Black Matte/Old World finish. I personally think this table looks gorgeous with the Simonis 860 "Simonis Blue" cloth. This table is our "play" table so customers can test out new cues while also seeing how great Connelly pool tables play. Josh (one of our sales staff) and myself have already logged many hours shooting on this new table, and we love it! 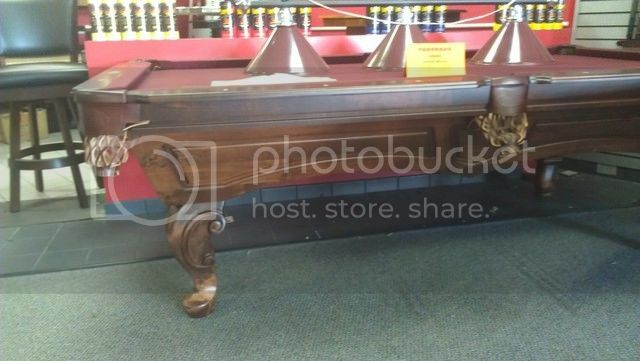 In addition to the Cochise we have three other Connelly pool tables on display; the San Carlos, Sabino, and the Coronado. The San Carlos shown in Connellys Mill Creek finish comes standard with 1" thick Brazilian slate and we have it shown with Mali Camel colored cloth. The San Carlos has always be my personal favorite, it is very simple with a slightly arched based frame and cabinet routing. The Sabino shown in Old World finish we have displayed with Banker's Gray cloth, when choosing the color we felt that the light color of the gray would contrast well with the dark Old World Finish. This table is a very sleek table shown with a Queen Anne's leg and double arched base frame without routing. The Coronado we chose to show with a Wine cloth and a Milano finish. Pictures do not do this table justice it is simply something you have to see in person. Are we having a Memorial Day sale? 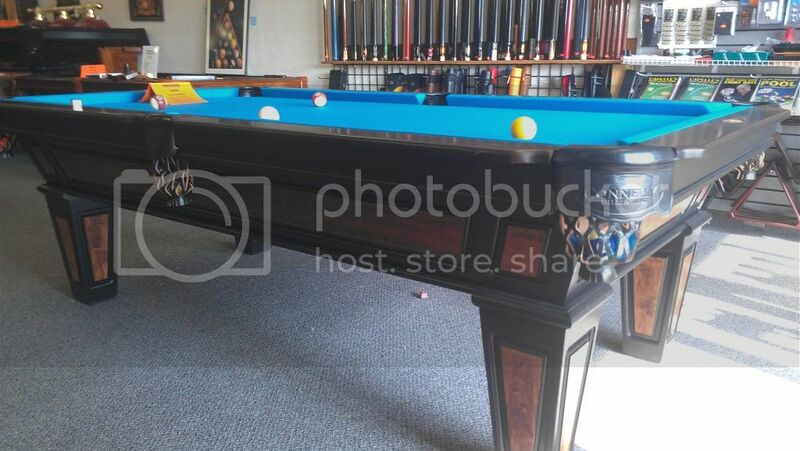 Does your Pool Table Have Leather Pockets, Plastic Pockets, or a Ball Return?